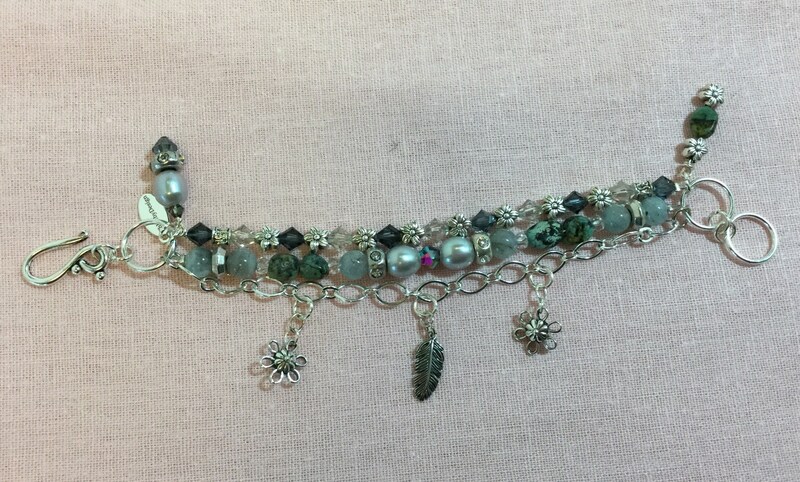 This triple strand charm bracelet combines dusty aquamarine rounds, African turquoise chunks, Swarovski crystals, and tiny silver-tone flowers. 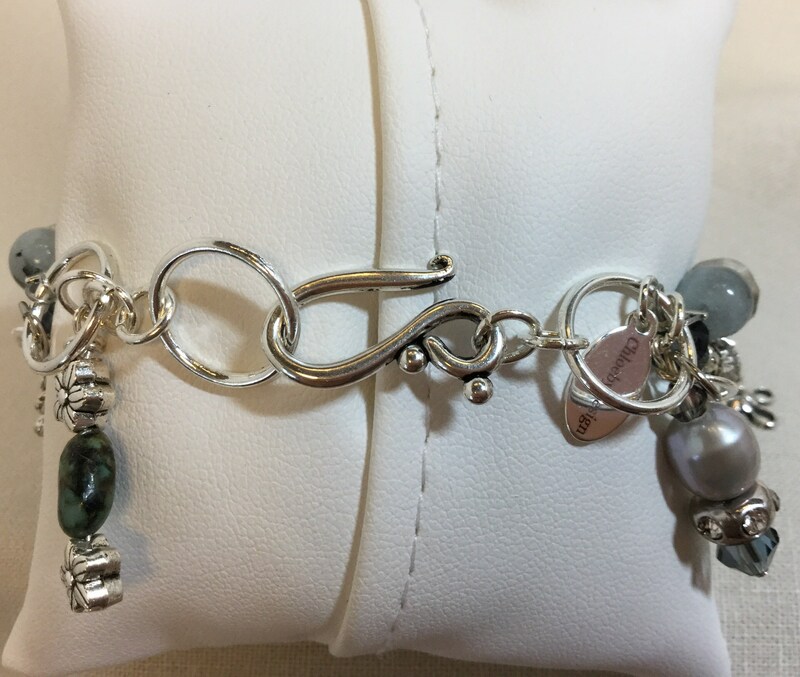 At each end, an anchor charm helps the bracelet stay in place on the wrist. 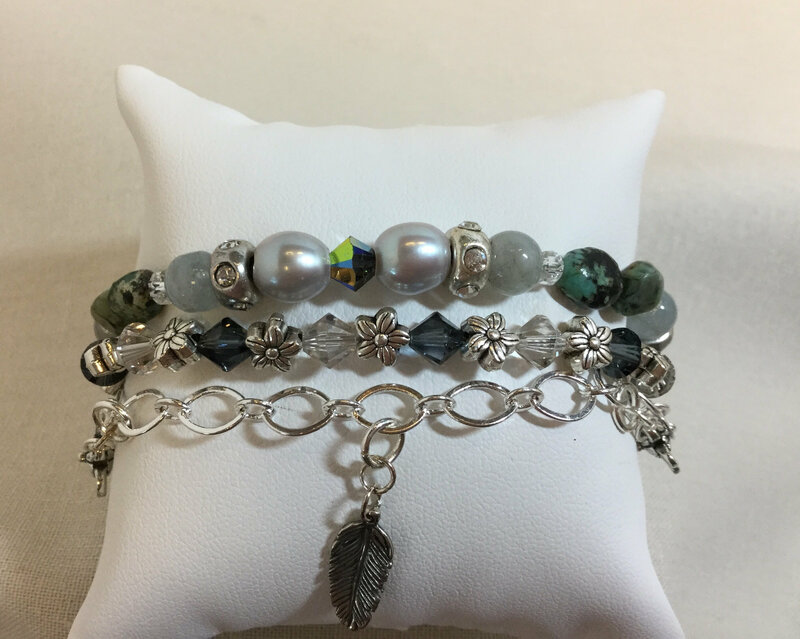 The chain is sterling silver plated and features three small charms, including a sterling feather as the centerpiece. The hook closure is very easy to manage for simple on and off. The bracelet measures 8 inches, which will fit a wrist that measures from 6 1/2 inches to 7 inches. It can be lengthened prior to shipping. Just send me a convo with your wrist size and I will let you know if I can adjust.